The research teams discovered new infiltration of immune cells into the lung cancer after nivolumab, an anti-PD-1 drug, was administered. 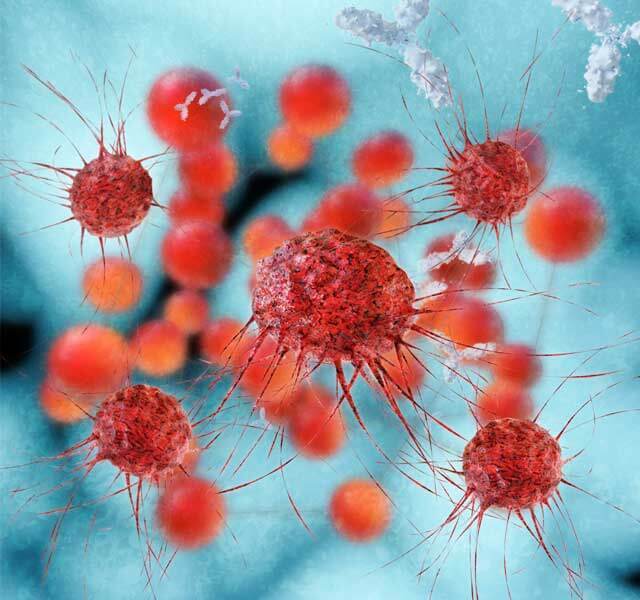 “Given that phase 3 clinical trials are underway, using this neoadjuvant anti-PD-1 drug will likely be practice changing,” said Drew Pardoll, M.D., Ph.D., senior author, director of the Bloomberg-Kimmel Institute for Cancer Immunotherapy and co-director of the Cancer Immunology Program at the Kimmel Cancer Center. “That T-cells, activated by immunotherapy prior to surgery, can intercept rogue tumor cells throughout the body after the patient’s operation and prevent the cancer from recurring may be a game-changer. This notion of ‘cancer interception’ has the potential to stop cancer in its tracks, helping turn cancer patients into long-term survivors, and it is a significant focus for (Stand Up To Cancer). We look forward to learning the results of the follow-up clinical studies that are underway to see how this breakthrough benefits a larger number of patients,” said Stand Up To Cancer President and CEO Sung Poblete, Ph.D., RN. “The potential to transform treatment of lung cancer patients resulting from this groundbreaking work by Forde, Pardoll, and other members of the SU2C-CRI Immunology Dream Team demonstrates the power of cross-disciplinary collaboration to advance lifesaving translational research, where the laboratory and clinic meet, and underscores the importance of continued efforts to explore fully immunotherapy’s promise at various stages of treatment along the entire patient journey,” said Jill O’Donnell-Tormey, Ph.D., CEO and director of scientific affairs at the Cancer Research Institute.